NTABAZINDUNA Chief Felix Nhlanhlayamangwe Ndiweni has called for the formation of a transitional authority to resolve Zimbabwe's escalating economic and political crises, but said the ruling Zanu-PF party should not take charge of the authority. His call comes in the wake of recent violent protests that resulted in rampant looting of shops and destruction of property, mainly in Harare and Bulawayo after President Emmerson Mnangagwa hiked the prices of fuel by 150%. Members of the armed forces launched a brutal crackdown on the protesters, leading to the death of 12 civilians, injury of about 172 and over 800 arrests. 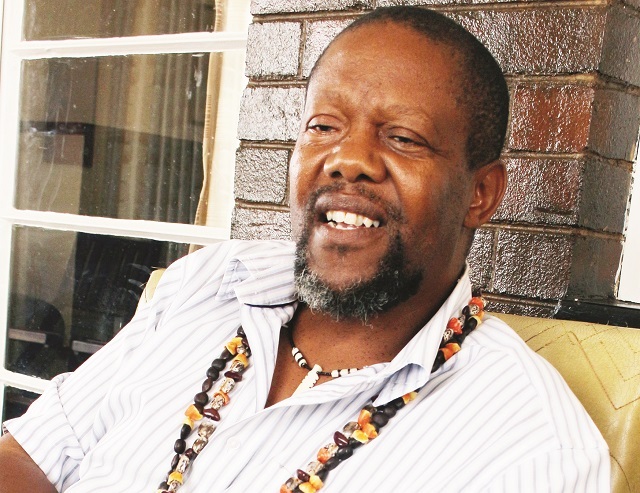 Yesterday Chief Ndiweni, son of the late Ndebele Paramount Chief Khayisa, who was a critic of former President Robert Mugabe's government, said the Zanu-PF administration had failed on all fronts. "What is now clear is that the time for profound action has come, if we are serious about saving our country. As chiefs, we have been assessing the government of the day for some time. Our college of chiefs has come to the following position; that Zimbabwe does not have a government," he said. "One would not be faulted should he say the administration is a regime. The current administration has failed most profoundly on all criteria that identifies it as a government. "We have been patient and have given this administration the benefit of doubt that they may redeem themselves somehow, but to no avail." Ndiweni called for an indefinite strike to push for talks. "We are calling for an indefinite general strike nationwide until the country obtains an interim government to steer it for two years. The main responsibility of this interim government would be to bring democracy to our country. "The interim government must not be under the control of Zanu-PF, for it is Zanu-PF that has brought our country to its knees. This interim government must be constituted by independent technocrats." The call comes as some Zanu-PF members and junior ranking military personnel were reportedly plotting to push out Mnangagwa. Efforts by the Zimbabwe Council of Churches to bring Mnangagwa and opposition MDC leader Nelson Chamisa to the negotiating table have hit a brick wall. Chief Ndiweni said Zanu-PF administration was spending most of its effort, time and resources attacking law-abiding citizens. "…The attacks have been on many fronts. The propaganda machinery of this administration is actually a daily attack on citizens. The fuel mismanagement, the constant lies from this administration are an affront on the people of this country," the traditional leader said. "Most serious is that it crossed the line by shutting down the Internet and social media recently." Last week, State Security minister Owen Ncube ordered a total shutdown of the Internet and blocking of social media platforms at the height of the riots. The order was challenged at the High Court, which ruled that the blackout was illegal because Ncube, who ordered the Internet closure, did not have the powers to issue such a directive. "The continued use of the bond note by this administration is actually theft of real money from the people… As this administration prepares to bring back the Zimbabwean dollar; that is attempted theft and fraud on the citizens by this administration." The fragile surrogate local currency, the bond note, is losing value every day, but government still insists that it is at par with the United States dollar. This has seen prices of basic commodities soaring and raised fears that savings could soon be wiped out again, as they were in 2008. Ndiweni claimed that the capture of the Judiciary and corruption of the defence forces speaks ill of the current government. "The hike of fuel prices is lunatic, the dreadful treatment of doctors, the dreadful treatment of the teachers, the atrocious treatment of the civil servants, the bad treatment of the trade unions, the actual physical attacks and killings of the people, kidnappings, disappearances and tortures of the people, by this administration, are an attack upon the sovereignty of our country," Ndiweni said.